Tucked just off Wall Street in downtown Bend, in the breezeway on Brooks Street, is the little gem known as Cowgirl Cash. Rebecca Charlton opened the Western vintage boutique in 2011 with a mission to create a shop that was authentic, practical, and beautiful. Locals know Cowgirl Cash for its ever-changing stock of beautifully restored cowgirl boots, some of which welcome you by the shop’s front door in a battered-to-perfection little red wagon, in a wide range of sizes, colors, and brands. 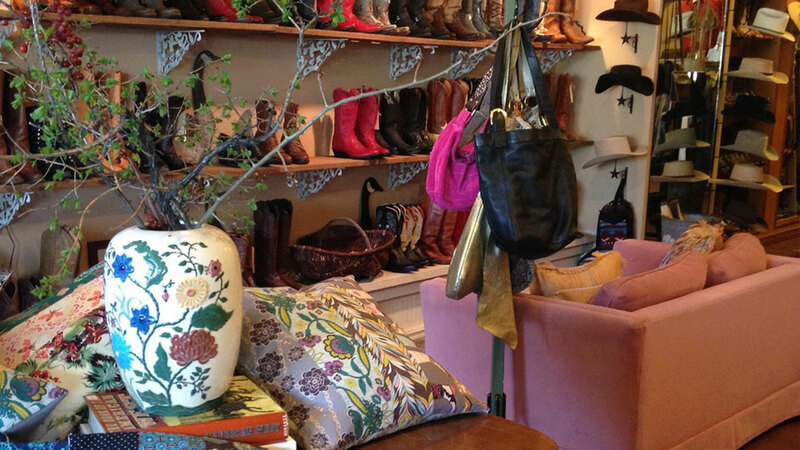 Inside, you’ll find gorgeous items that fit the Bend lifestyle and pair perfectly with those aforementioned boots; easy to wear jewelry, pearl snap shirts, pretty dresses made right here in Bend, cool old buckles, and more. Cowgirl Cash buys and sells everything from turquoise to vintage tooled belt straps, as well as silver and gold jewelry, cowboy and cowgirl boots, hats, and old Northwest brands like Pendleton and Filson. Clean out your closet, bring it in for cash paid on the spot, and leave with something new that reflects your personal style.